In many remote rural parts of Vietnam, children have to walk long distances to go to schools. 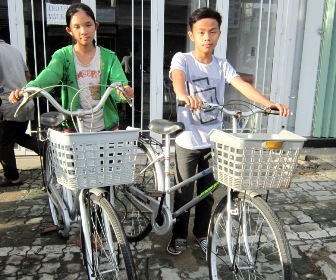 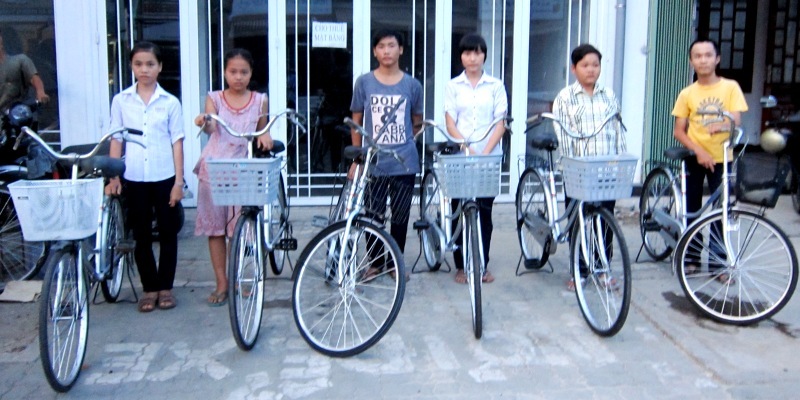 Their families are so poor that they cannot afford even a bicycle for the children. 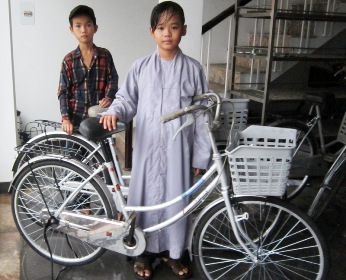 To help these children have easier access to schools, Vietnam Foundation funded a program whereby old or discarded bicycles were collected, recycled and then donated to the children. 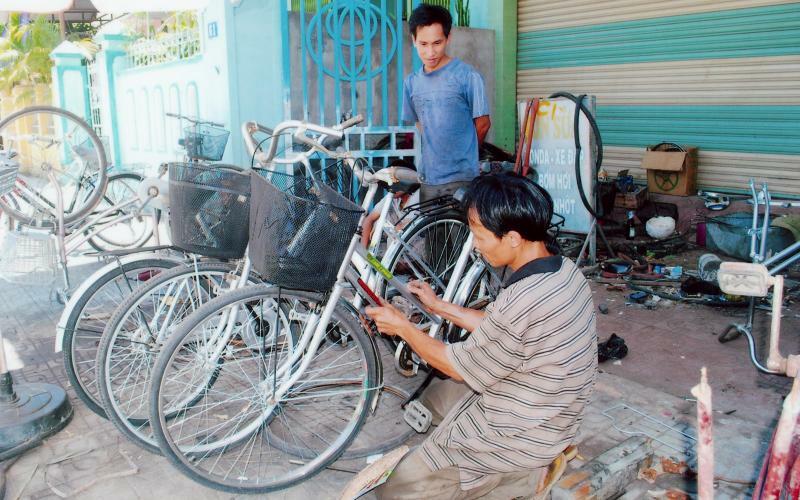 The bicycle main frames were repainted if they were still solid and usable. 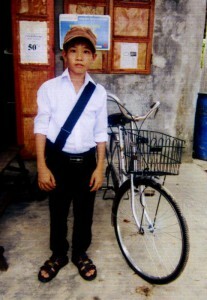 Other components were replaced with locally made new parts. In 2012, 62 such bicycles were recycled at the cost of VND 43 Million (AUD 2000). 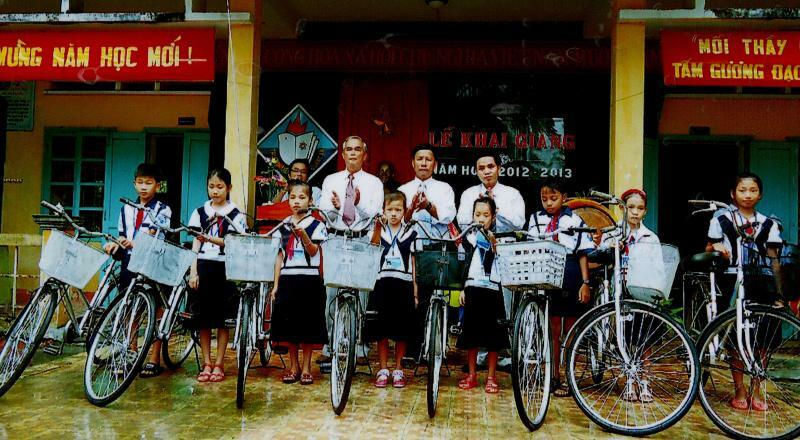 They were handed over in September 2012 (beginning of the new school year) to school children in Thừa-Thiên Huế and the adjacent provinces of Quảng Trị and Đà Nẳng. 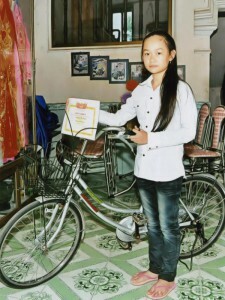 The children were selected based on their academic standing and the economic condition of their family. 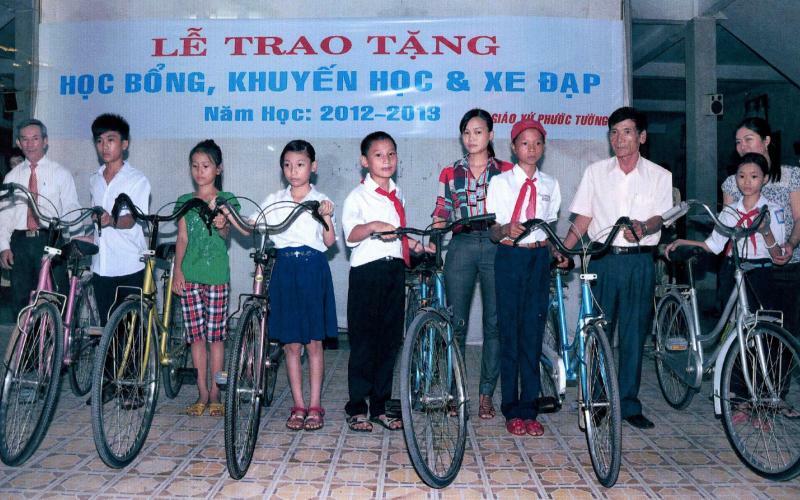 Thanks to further funds donated by our members and supporters, in 2013, we financed a second batch of 185 bicycles at the cost of VND 130 M (about 6000 AUD). 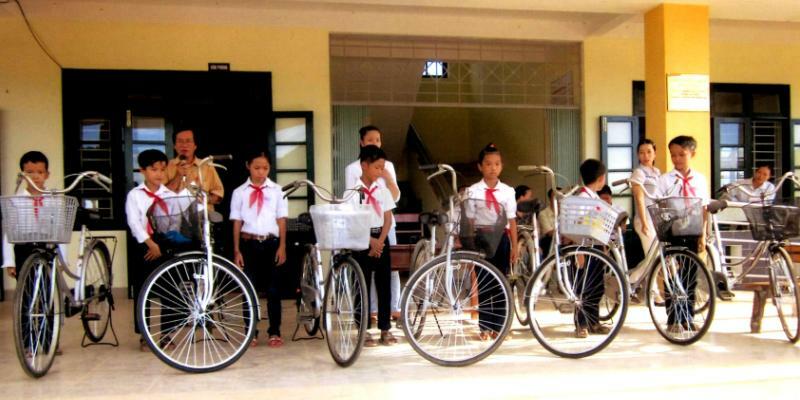 Most of these bicycles have been distributed to students in Huế, Quảng Trị and Quảng Ngãi provinces in August and September 2013. 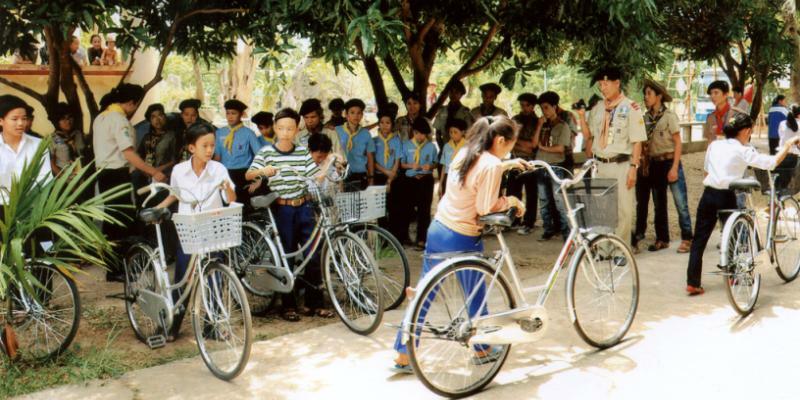 As in the previous year, some of the scouts groups in these locations helped us with the selection of students and the distribution of the bicycles.